The Sensei – Tactical Tanto in D2 Tool Steel The Sensei knife connects the beauty of the Oriental traditions with Russian practicality. 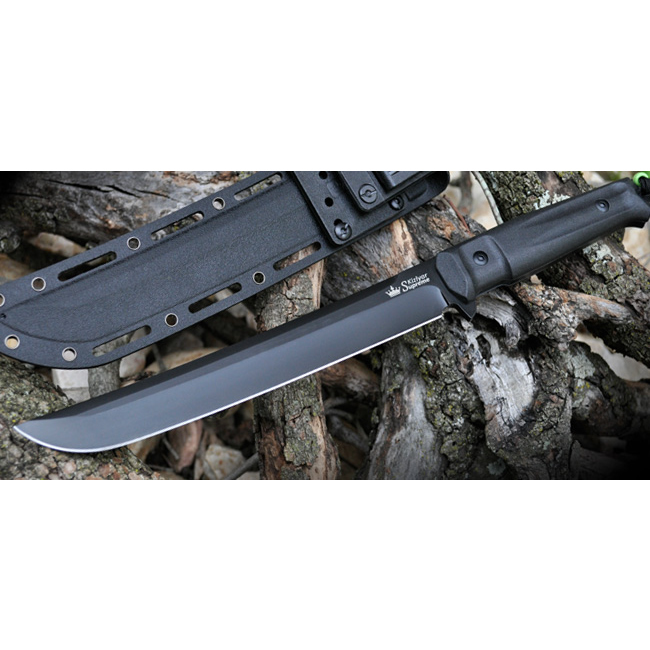 Functionally it combines a camp knife, a machete and a Japanese tanto (long knife). 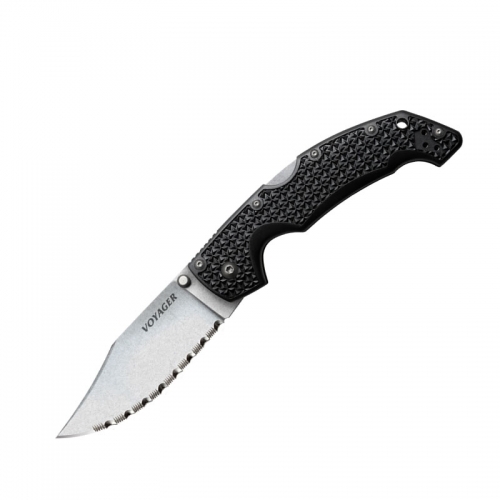 The tanto ground blade is 8 5/8″ in length with a thickness of 4.6 mm, it just begs to be put to work. When in hand it feels like a small sword and radiates reliability and power. The weight balance is shifted slightly towards the blade, which allows slicing, cutting and hacking with comfort. Full-tang design guarantees strength. Special heat-treatment is done to give the blade reliability and durability at any workloads. Non-slippery soft Kraton handle (with hard ABS underneath) with removable scales and full-sized guard guarantee comfortable and secure grip. The light PA sheath features a rotatable clip on a highly versatile rotatable (SP) platform that can be installed in a number of ways on different areas of the long sheath to make sure the user gets the most comfortable carry option. The sheath is fully MOLLE compatible. Made by Kizlyar Supreme. 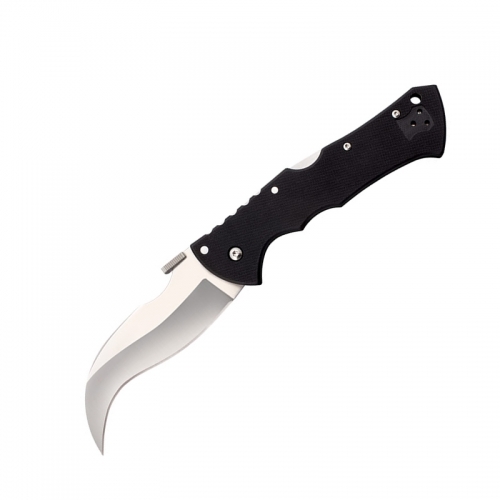 Key Features: D2 Tool Steel Kraton Grip with ABS Core MOLLE compatible Sheath Overall: 14″ Blade Length: 8 5/8″ Blade Steel: D2 Hrc Edge: 60-63 HRC Handle Material: Kraton with ABS core Specs will vary slightly from piece to piece.